What would your dream job look like? That was the question put to 2,000 Americans in a recent survey to find out what people would most desire in a job. 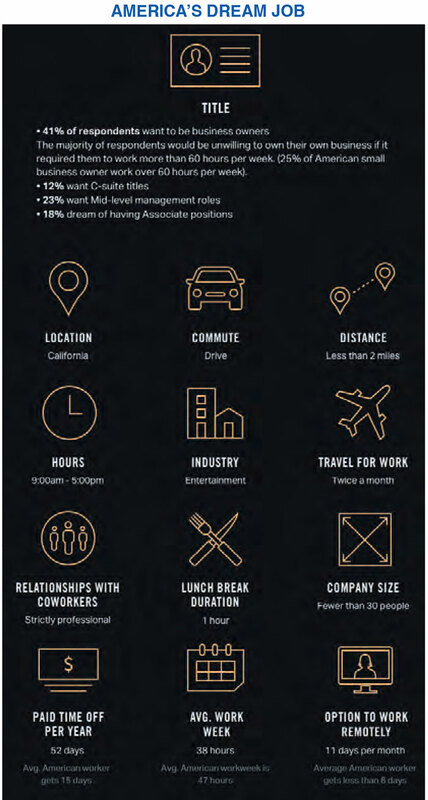 With all the answers compiled, here’s what the survey reveals would make up the ideal job. 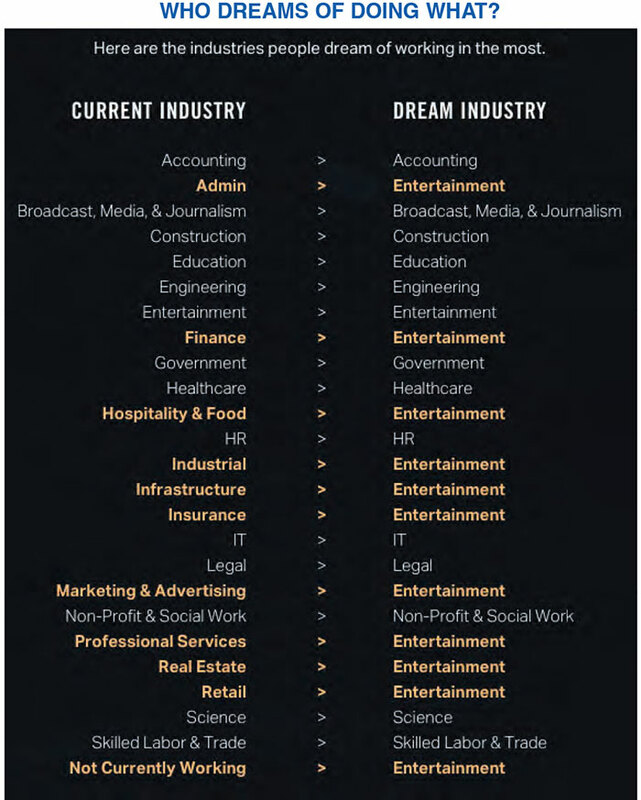 And while some folks are content in their current industry – if not necessarily their current job – it’s interesting to note that a significant number of people have aspirations to make their mark in the world of entertainment.